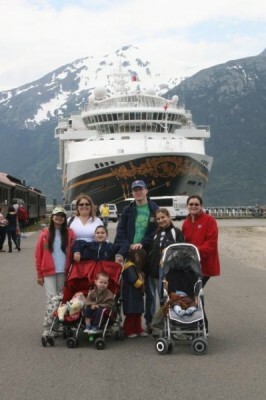 In the summer of 2011, we were lucky enough to sail on the Disney Wonder for one of its Alaska itineraries. Disney has offered Alaska as one of its destinations for the last few years, and is doing so again in 2015. 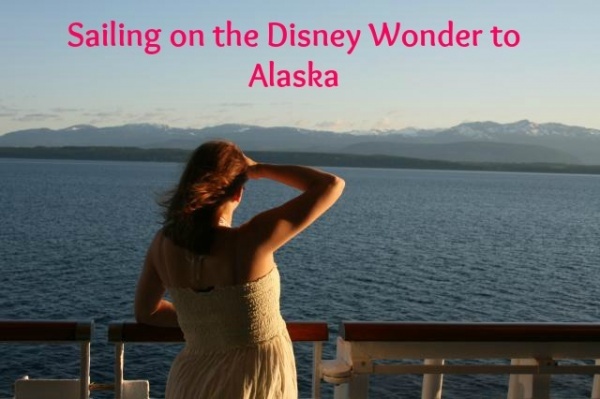 This article should give you some valuable information about what to expect on a Disney Cruise to Alaska, and what makes this particular itinerary special and unique. 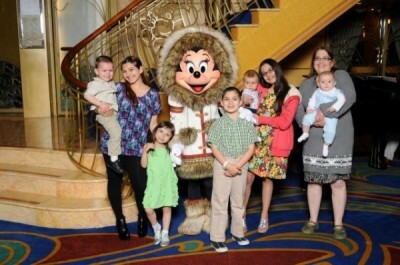 The Disney Wonder sails to Alaska from a home port location in Vancouver, British Columbia, Canada. Vancouver is a large city with a lot to offer, and would be a good place to visit before and/or after your cruise. It is easy to navigate with public transportation and taxi service is available. There are many hotels within walking distance of the pier where Disney Cruise Line docks the Disney Wonder. Since this itinerary sets sail from Canada, U.S. citizens will need a passport for this cruise. We found our Alaskan cruise to be very similar to what we experienced in the Caribbean while on board the ship. There are so many activities that you cannot possibly attend them all. Some of the added activities for the Alaskan cruises included nature talks about Alaska and its ports, and food seminars that featured local ingredients. We still got to participate in some of our favorite activities, like pirate night (sans the fireworks, which are not allowed in Alaska), building vegetable racers, and enjoying Palo brunch, but the scenery was unlike anything we’d ever experienced. On an Alaskan cruise, you may find yourself spending a lot of extra time relaxing on the deck or near a window, watching icebergs float by or looking for whales, eagles, seals, or bears. On one special day “at sea”, the Disney Wonder approaches the Tracy Arm Fjord, where the ship pulls in very near to a calving glacier. 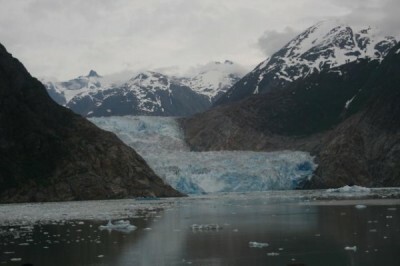 We loved the scenery this entire day, which was amazing as we approached Tracy Arm and even more spectacular as we viewed the glacier. The ports of call are also very different on an Alaskan cruise, because the small cities that you visit are sparsely populated and the attractions are geared towards cold weather activities. My family was able to visit a sled dog farm, while others went whale watching, had a scenic train ride, or took a helicopter to the top of a glacier. These types of excursions are rare to find on a cruise unless you are in Alaska. Due to the climate, you will want to pack layers of clothing for an Alaskan cruise. At some points, we found ourselves wanting to wear sweaters and long pants, and other times, it was warm enough for shorts. 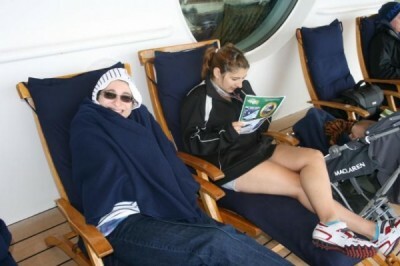 Luckily, Disney Cruise Line did pass out blankets on the decks for some extra warmth too. Needless to say, the pools were not the most popular activity, but they did get some use! Also, you will want to be prepared for lots and lots of sunlight. Summer days in Alaska get sunshine from the early morning until very late at night. One of the dinner menus we experienced was geared towards local specialties, which added an element of fun and education to our dinner. We also got to visit with the characters in their cold weather garb. It was a great deal of fun guessing what type of outfit the characters would be wearing. This year, Disney Cruise Line is also offering some special Frozen themed activities and meet-and-greets, which I can only imagine will add more to the experience. 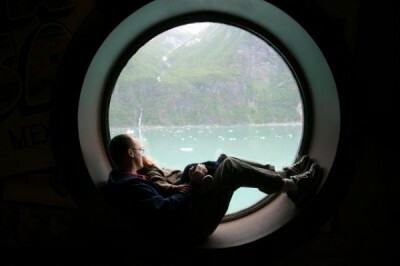 Prior to our sailing, an Alaskan cruise was a bucket list item for me. I am so glad that my family was able to share this special vacation together on Disney Cruise Line and highly recommend it to others. Have you ever taken a Disney Cruise Line trip to Alaska? What tips do you have?